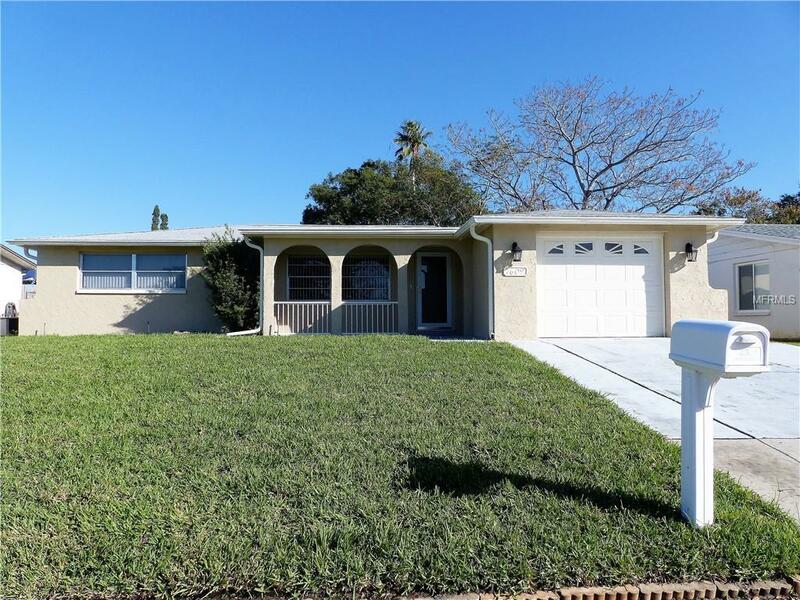 This lovely updated 2 bed, 2 bath, 1 car garage home is nestled in a nice community. Tile and laminate throughout. Large living room with adjoining dining room. Kitchen has breakfast nook and breakfast bar serving into family room. Large fenced yard! Small pets allowed with owner approval and additional non-refundable pet fee. Smoking prohibited inside. Centrally located with easy commutes to all of the Tampa Bay area! Close to recreation, parks, and shopping. 1st, last, security deposit required. $40 application fee per adult. Move in Ready. Won't last, so set your appointment to view this home today! Listing provided courtesy of Tropical Life Realty, Inc..